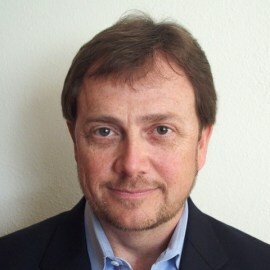 James (“Jim”) Brigman is a Principal and Managing Director of Ingenero. Ingenero is a process engineering firm that enables operational excellence through Digitalization. Ingenero is a global leader in engineering and in applying data analytics technology to ongoing operations to dramatically improve production while enhancing energy efficiency and environmental compliance. Jim is a registered Professional Engineer with significant management strategy consulting and investment banking experience in the chemicals and energy industry. Prior to Ingenero, Jim was the Managing Director of Kilimanjaro Partners, an investment banking firm; an investment banker with Donaldson, Lufkin & Jenrette; and a management strategy consultant with Booz Allen & Hamilton. He was an engineer and operations manager with Solvay in their hydrogen peroxide and sodium carbonate peroxyhydrate facilities. He has a bachelor’s and master’s degree in Chemical Engineering from Rice University and an MBA from Harvard Business School.